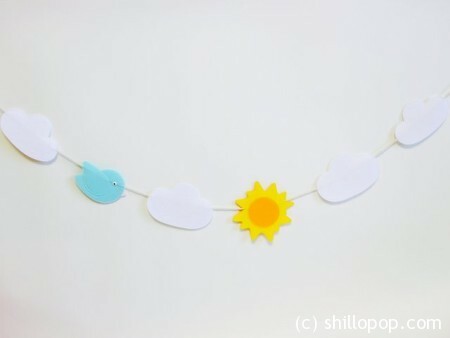 This Garland is full of spring cheer! It will make a great addition to child’s room. Sure to be loved by children! 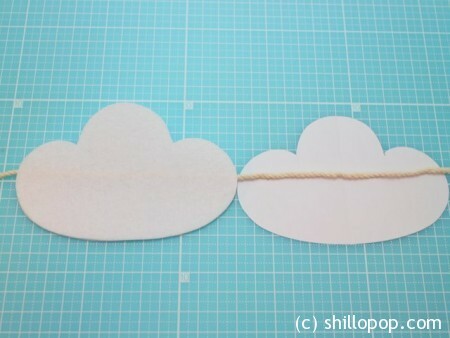 Lovely felt clouds garland is quite simple and very inexpensive. 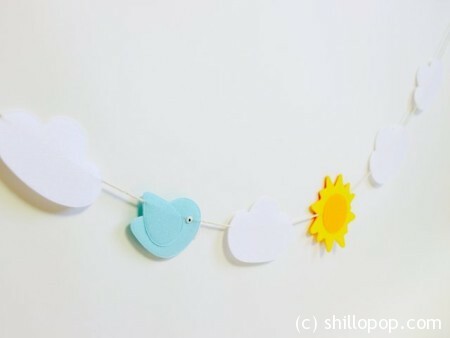 Clouds, sun and bird are hand-cut from felt and stitched. 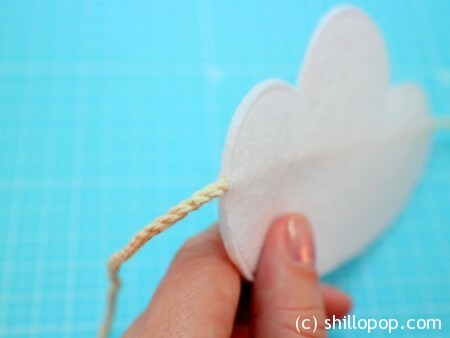 A little tutorial about how to make felt garland will help you. PDF Pattern is available at my Etsy shop. 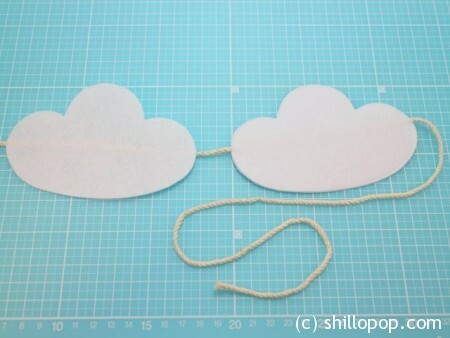 You will need felt, ribbon, scissors, needle and thread. 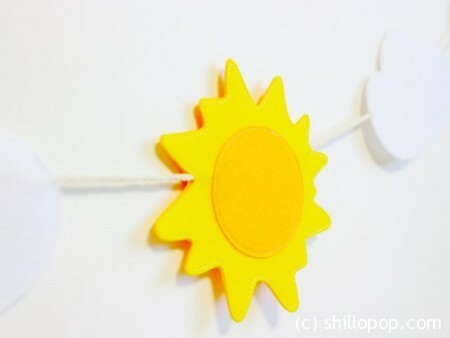 All my toys are made from eco-frendly 100% polyester Korean felt fabric, 1-1,2mm thick, non toxic, suitable for children. 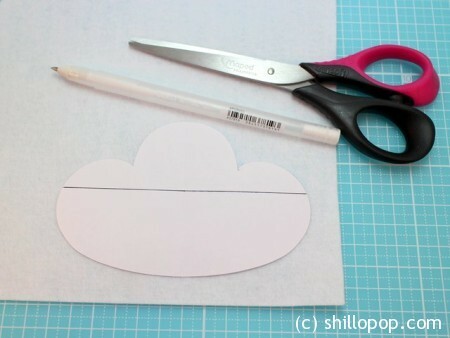 Trace clouds on your felt with a pencil or the disappearing ink pen . Cut around the edge of the outline. 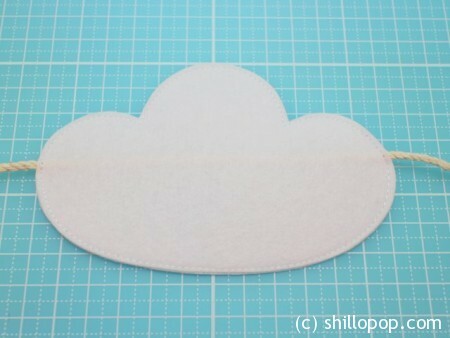 You will have 2 felt clouds. 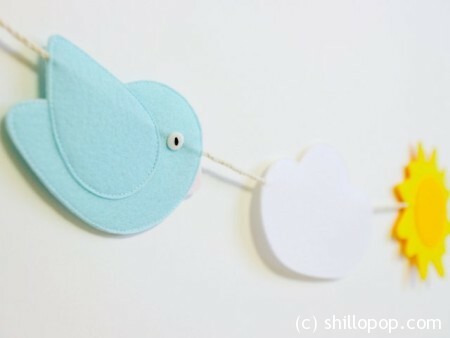 Place the ribbon between the two felt parts follow the line on the pattern. 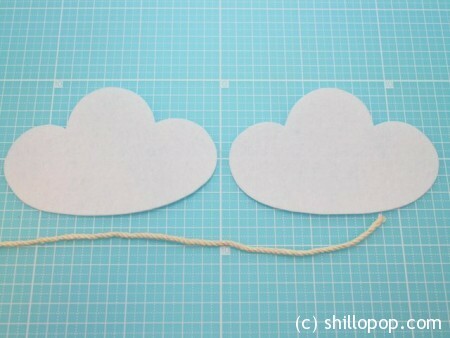 Sew two clouds with a small running stitch (or machine stitch) around the perimeter. Space clouds close together or further apart – its up to you! My garland has 5 cm in between toys.